In Manila, the Toyota vehicles are becoming the new age taxi. Thanks to ride-sharing services, the automaker’s compact and affordable vehicles are becoming synonymous with private transport. And there might be more the way. Toyota Motor Philippines Corp (TMP) recently said they are thinking of applying to a special incentive program to produce the Vios domestically. The auto giant’s participation could bump-start much-need manufacturing jobs; the unemployment rate is at 6.6 percent, according to the ADB. Under the Aquino administration’s Comprehensive Automotive Resurgence Strategy (CARS) program, automakers will be eligible for tax incentives if they register to produce at least 200,000 units of one vehicle model over the next six years. Each producer enrolled in the program will be entitled to a maximum of $554 million. “If they stick to 200,000, Innova looks very difficult [to produce]. But Vios, we have potential. So probably we’re planning to apply with our Vios,” TMP President Michinobu Sugatawas quoted as saying in the Philippine Star. 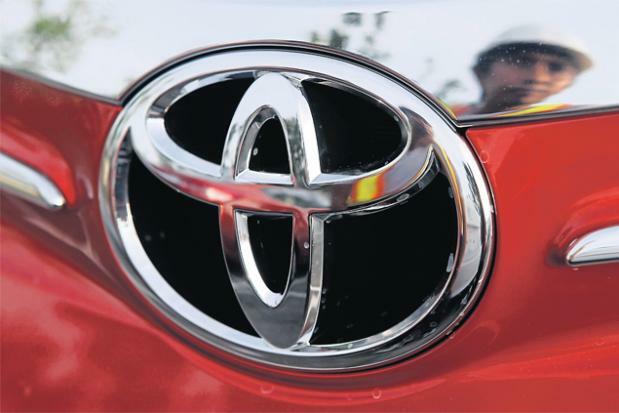 Toyota dominates the Philippine auto market. According to 2014 figures, Toyota owned 43 percent of the domestic automotive sales market, positioning them close to a monopoly, which will only continue to rise in power. The Japanese automaker will become the first producer to reach the one million-sales mark this year, with the Revo and Innova being the hottest sellers. But the Philippines has long lagged behind the manufacturing hubs of Thailand and Indonesia. Only 300,000 cars, at most, will be in the Philippines this year, compared to an estimated 2.2-million output in Thailand. Moreover, the archipelago suffers from the highest electricity costs in the region, and has hit a serious bottleneck in infrastructural capacity – from congested bridges and roadways, to clogged ports and airport terminals. Why, automakers must ask, should we invest in the Philippines? Indeed, the Philippines is a well-established hub of electronic components; they represent a part of supply chain for many global manufacturers. The largest job producer in the sector is the semiconductor industry, fuelled mostly by Japanese investment, as well. Toshiba and Panasonic both maintain factories in the country. The Philippines is also an appealing market for production diversification strategies. After shuttering its factory in Detroit, Mistsubhi Motors is planning to start production in the Philippines later this year in a factory purchase from Ford Motors. The new base would set up a Southeast Asian production hub for Mitsubishi, with factories in Thailand, Indonesia and, soon, the Philippines. Their presence comes in the face of unfavourable legal environments. Japanese companies have spent millions to invest in Philippine production despite the so-called 60/40 foreign ownership rule, which prevents majority-foreign ownership of investment in land and business – and bars ownership altogether in certain industries, including mining and media. Yet, the precedent that has been set is telling of Toyota’s future. The company already invested in training manpower, one of the Philippines’ most competitive assets. “The Philippines’ advantage is our English-speaking and highly trainable manpower,” says Frianeza. Through the TMC School of Technology, located south of Manila in Laguna, Toyota offers a two-year automotive services course. If manufacturers were to invest big in the Philippines, there would be no better time than the president. President Benigno Aquino is on a tear, targeting 6.8 percent growth this year, making his country the fastest growing in ASEAN. Hitting that rate would make him the most economically successful president the Philippines has seen in 60 years. In a final push to solidify this legacy, the president Filipinos fondly call “PNoy” – term akin to “Filipino” – has passed a massive $8.4 billion budget to continue building and maintaining the neglected infrastructural condition of the country. Aquino’s tenure has been defined by such large-scale investment, improved perception on fair governance and the bump starting of a nascent middle class. Consumer growth in the Philippines averaged 6 percent in 2014, while Thailand’s consumption contracted. In the automotive sector alone, sales rose 21 percent in the first half of 2015. As in such cases, a rising tide has brought up all ships. “Our automotive industry is riding with the other industries’ growth. Micro SMEs and SMEs are expanding which made for the robust demand for AUVs and SUVs and light commercial vehicles,” Chamber of Automotive Manufactures of the Philippines President Rommel Gutierrez told the Philippine Star. Manufacturing, dubbed the “missing leg of the economy,” has boomed, growing over 8 percent in 2014; exports rose 12 percent over the same period, with Thailand falling for a second straight year in a row, Bloomberg reported. The Philippines, nonetheless, remains at a rock bottom base line vis-à-vis its regional rivals – this is indicative of the high growth posted here. The government’s Philippine Economic Zone Authority, the overseeing body for SEZs in the country, provides distracted electricity rates for investors in manufacturing. But the automotive industry’s future cannot flourish in a silo. Aquino – or his predecessor, due next year – would need to amend the currently prohibitive FDI law to bring in infrastructural investment. The Philippines receives the least FDI of the top five ASEAN economies, and it shows.